Majority of us head to Google Search for finding specific information on the internet. Here are few cool ways to add fun while searching for stuff on the internet. Over period of time, Google surprises with new trick (easter eggs) for that occasional fun while Googling around for the required information. Here is listing of best tricks (easter eggs) for fun on Google Search. 1. Conway’s game of life – This is latest Google easter egg (trick) that display nice animation at top right side of Google Search page. Just search for “conway’s game of life” on Google Search to view the animation. 2. 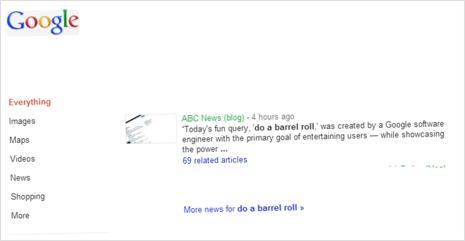 Do a barrel roll – This is latest Google easter egg making rounds. Just type do a barrel roll in Google Search box and press the Enter key. Whole Google search page should roll twice like barrel resulting into cool animation effect. 3. 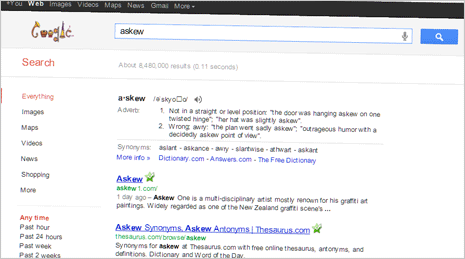 Askew & tilt effect – Bored of using Google Search page in straight vertical format? Google search askew or tilt keywords and press the Enter key to see Google Search page tilted to right side (not straight for sure!). 4. Google floating sphere – Want to use Google Image search in floating sphere like format. Google Sphere project display Google Image search homepage in animated sphere like floating format. Even image search results float once you enter keyword for searching. 5. Google Gravity falling – This effect mimic zero gravity environment where elements of Google Search homepage fall to the bottom of the screen. Even keyword search results fall down piling on one another. For sure one neat and radical effect on Google Search homepage. 6. Games on Google – Besides above effects, you can also play classic games right on Google Search. 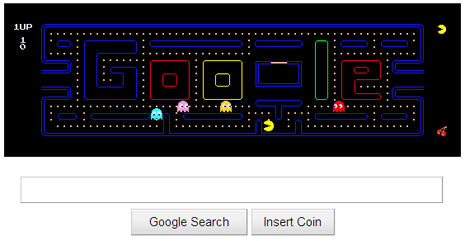 Play Pacman game anytime by going to google.com/pacman url. Google also offer other popular games for free play like Angry Birds online (though this is not on Google Search homepage). 7. 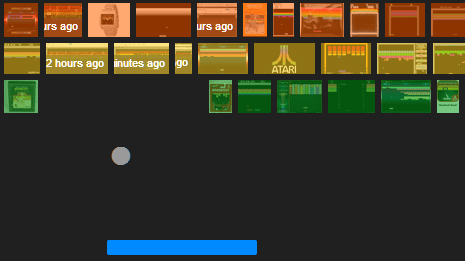 Atari Breakout game – You can play classic Atari game “Breakout” for free within web browser on Google Website. Open google.com and then click on Images option to navigate to Google Images Search. 8. 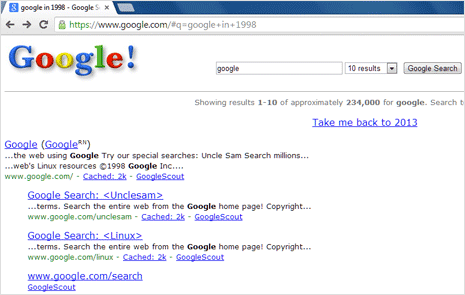 Old Google Search of 1998 – As Google celebrates it birthday, new Easter Egg is out. You can browse old Google Search interface design, as it was in year 1998. 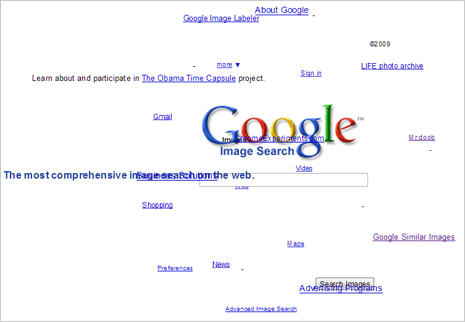 Just search for google in 1998 on google.com to see this classic look. It shows old Google logo along with features like select number of search results and so on. Google & Youtube Suggest, making search little easy! I would like to add one more fun trick to this list. Type ‘Zerg Rush’ into Google and see what happens.